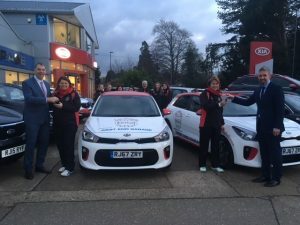 WEST End Garage Kia has continued its support for local netball team, Cardinals Netball Club, by gifting the club two new Kia Rios. The cars will be used by the team to reach more children in the community. Cardinals Netball Club encourages children to keep fit and active while providing them with the chance to be part of the local team.